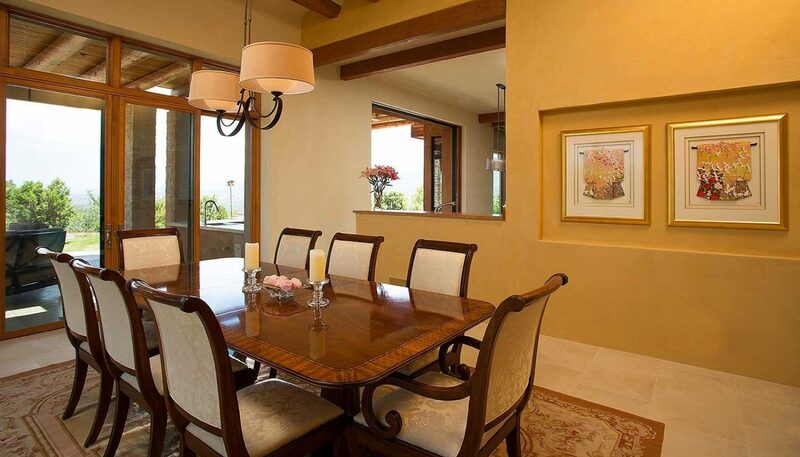 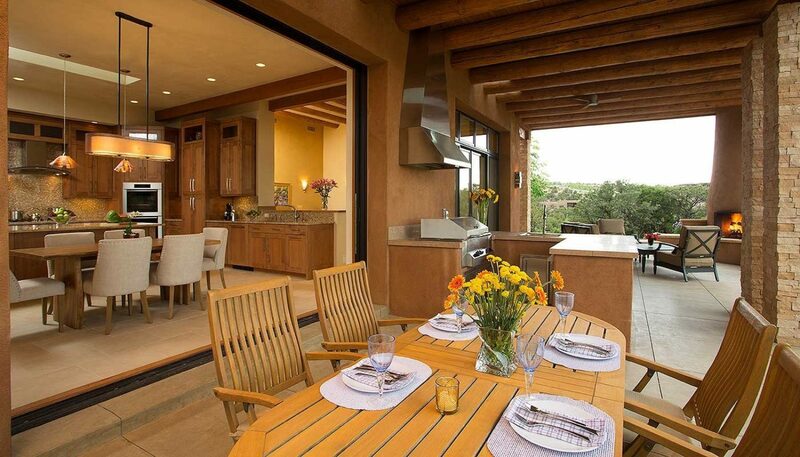 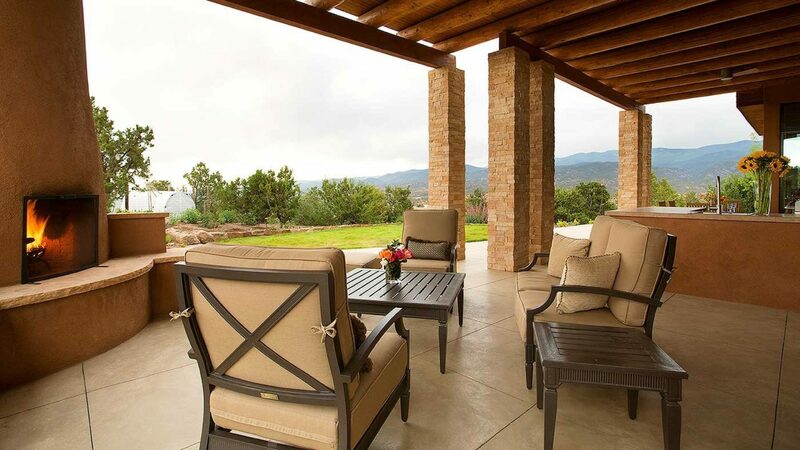 Commanding views are the focus of this open-plan, 4,500, heated square foot house. 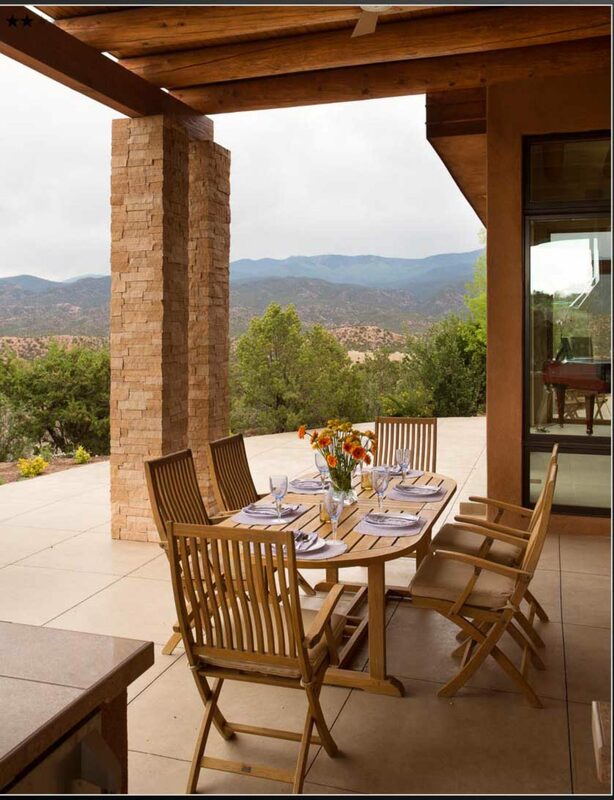 The main space opens up to 270-degree views. 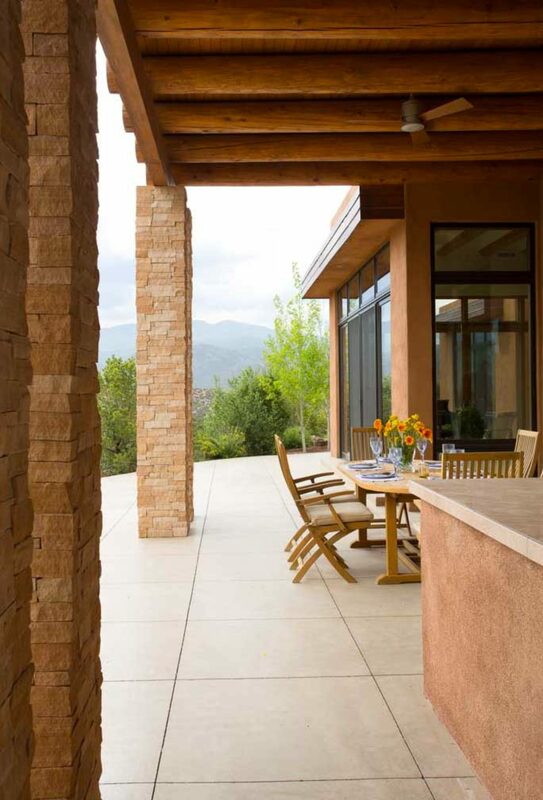 A neutral color palette, with dramatic dominant accents, allows the home to be focused outwards, soaking in spectacular views, from the Sangre de Cristo’s to the northeast to the Jemez Mountains and Badlands to the west. 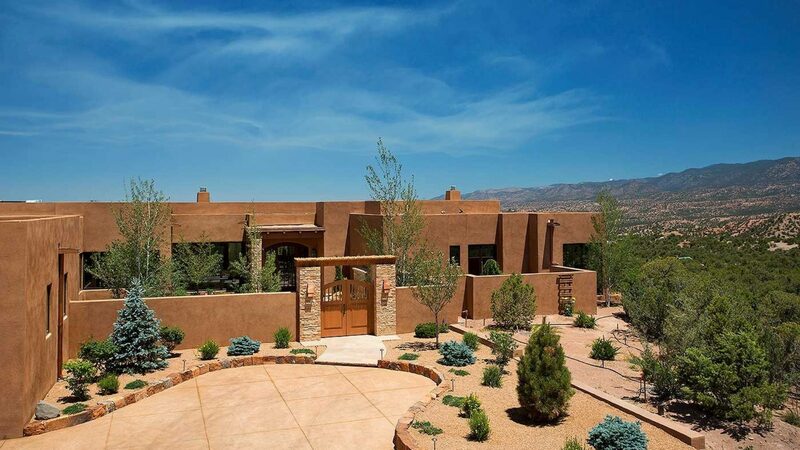 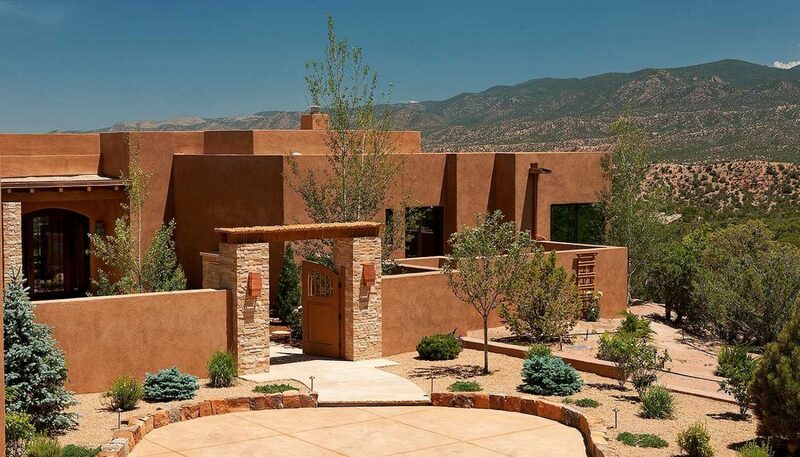 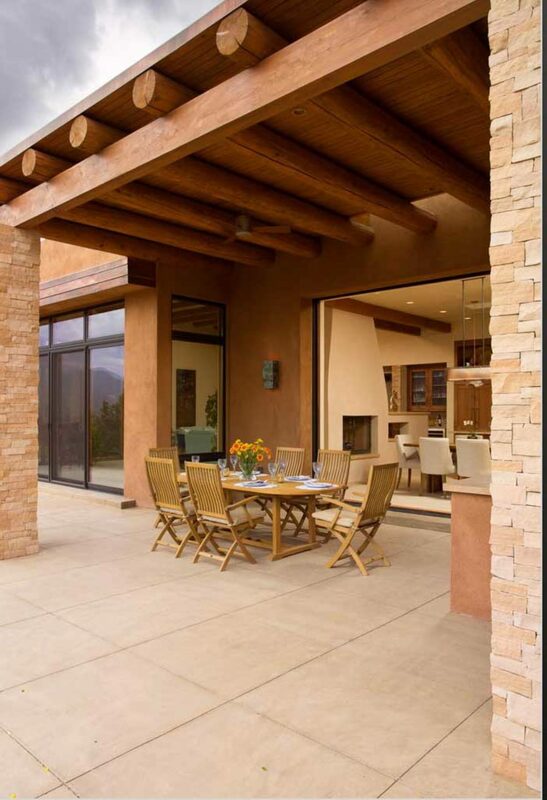 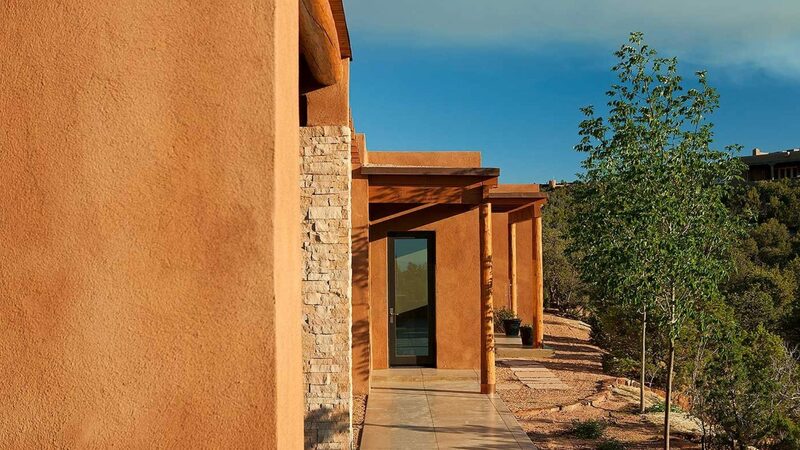 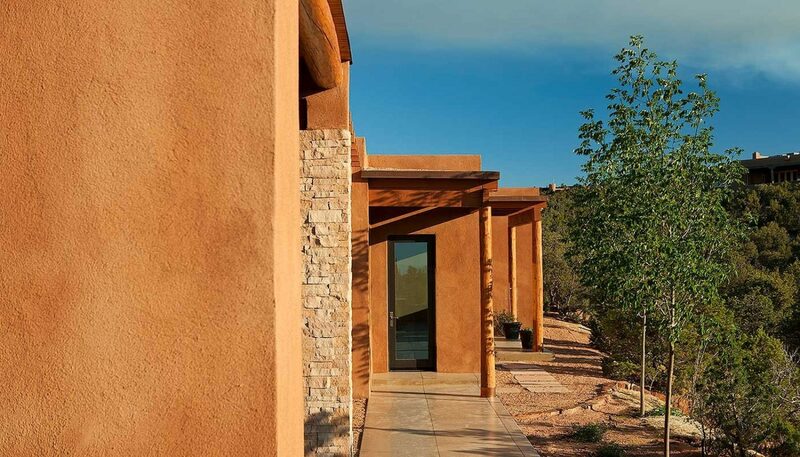 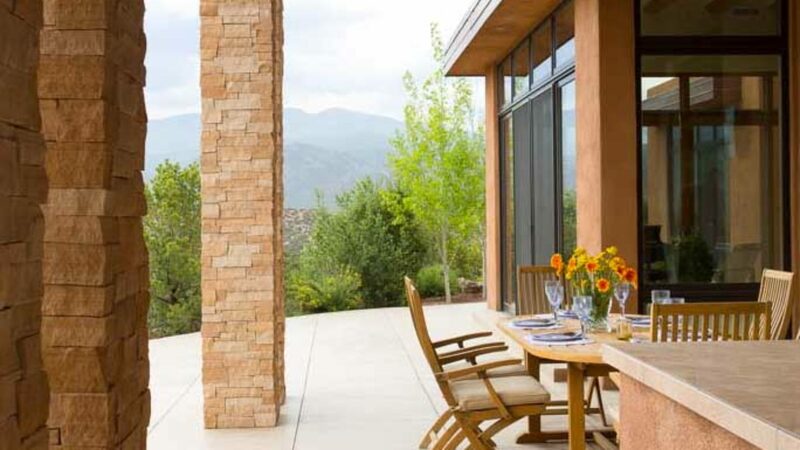 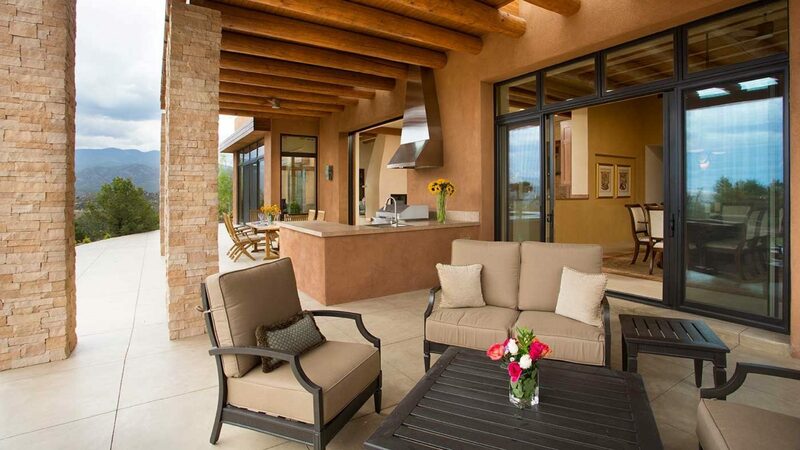 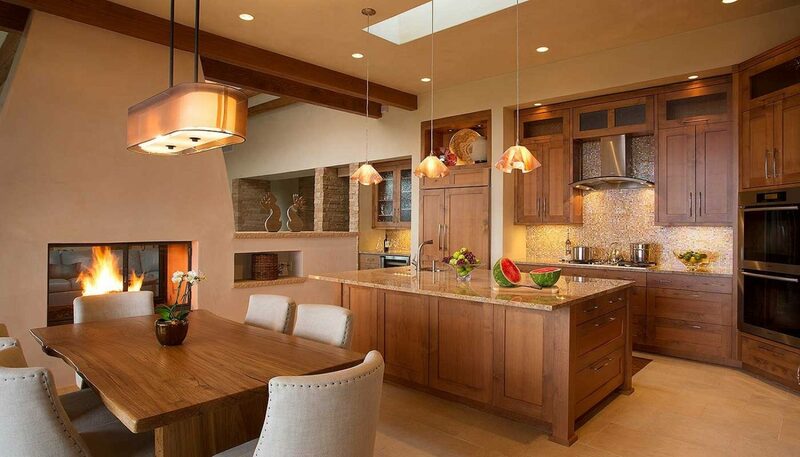 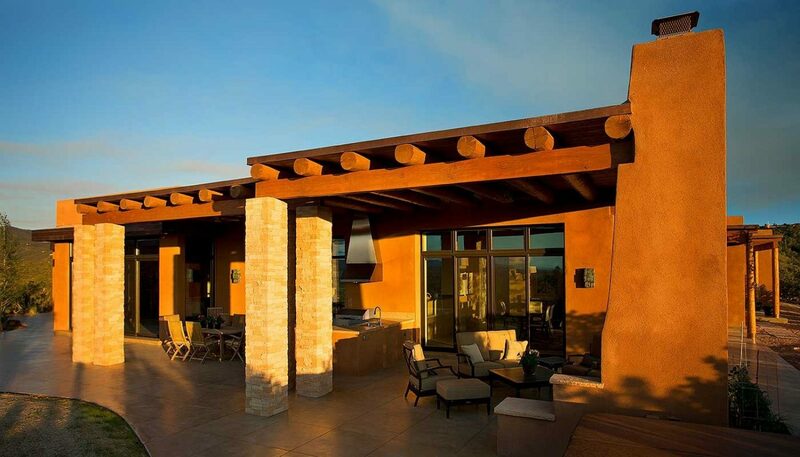 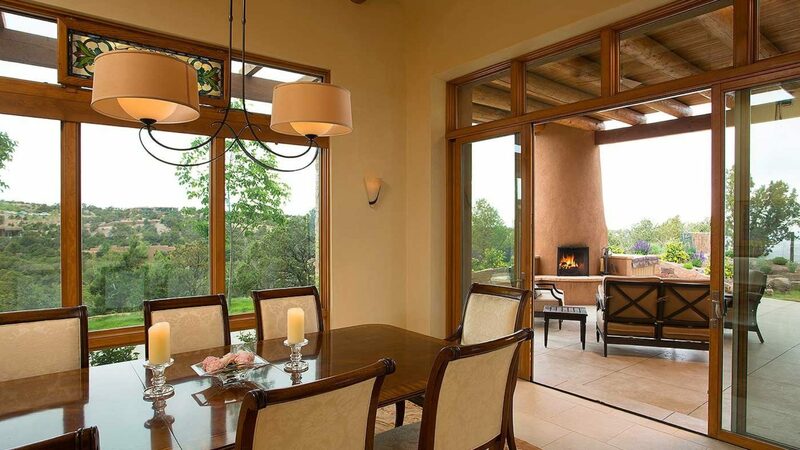 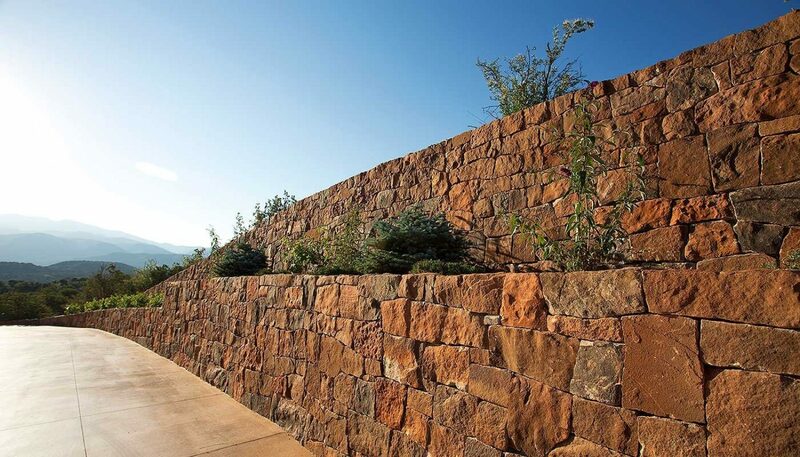 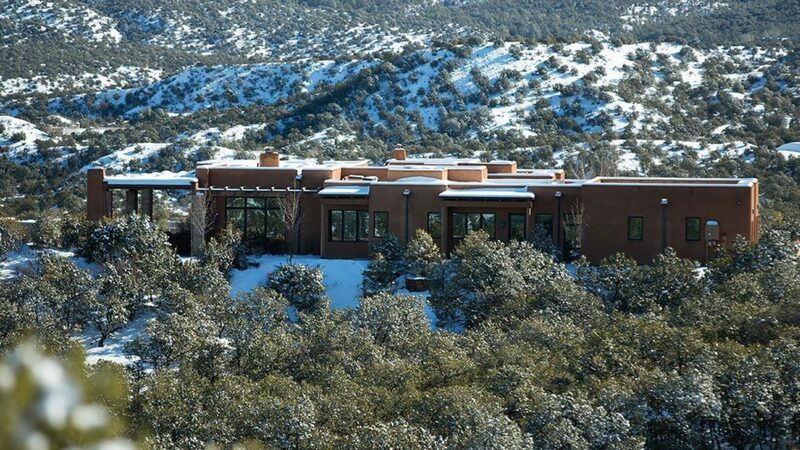 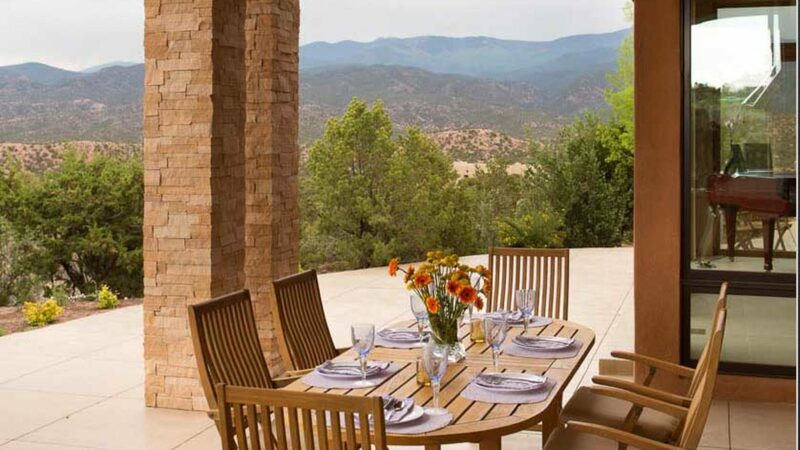 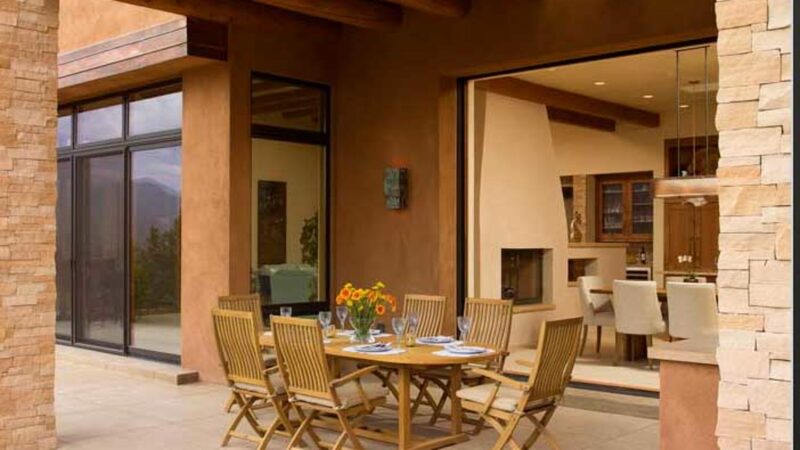 The design is a contemporary interpretation of Santa Fe style, from the entry court with its waterfall and pond to the reinterpretation of a shepherd’s fireplace. 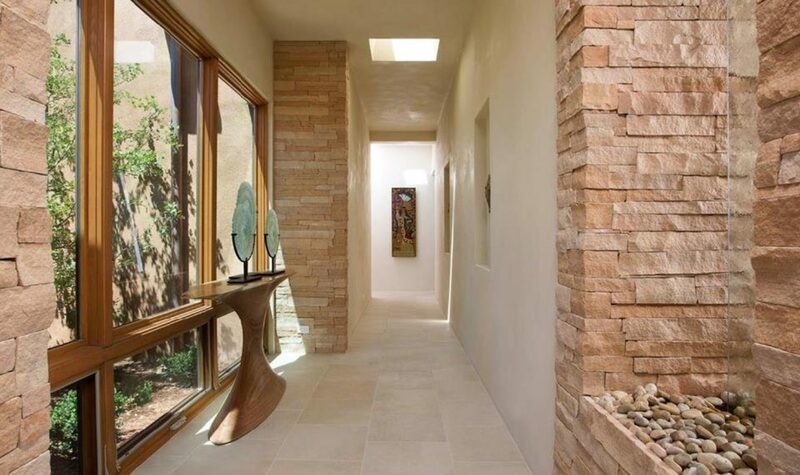 Great craftsmanship is seen in every aspect of this stunning home. 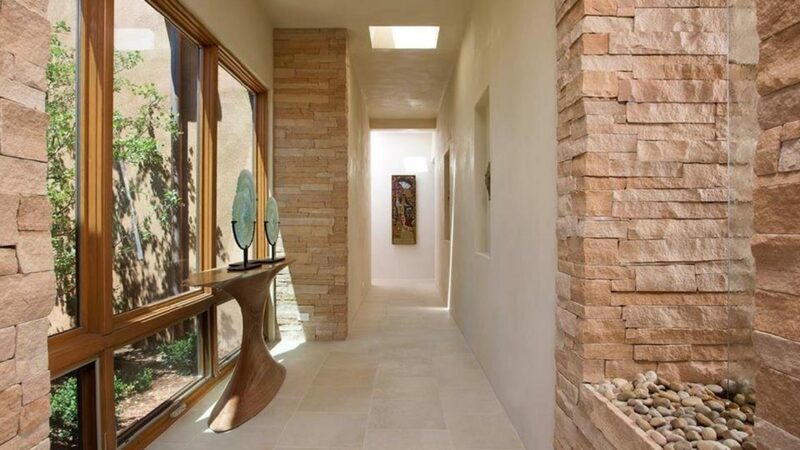 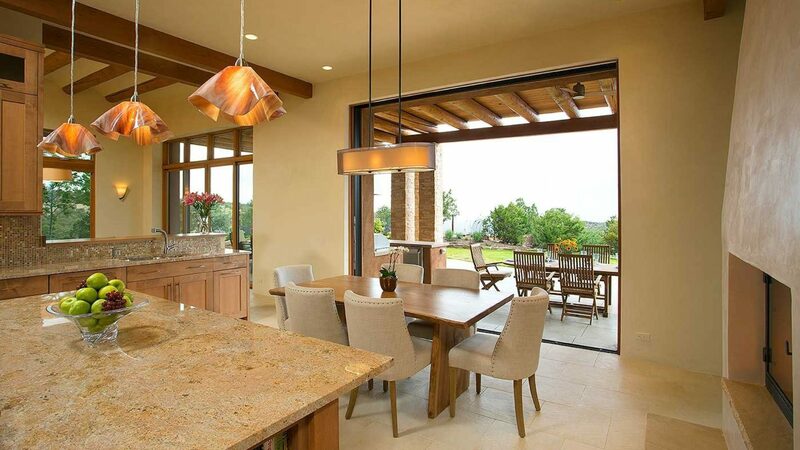 There is an artful blend of stone and wood, combined with tile and plaster finishes, which flows smoothly and seamlessly through every room, inside and out.